Pre-Registration and Social Event Ticket purchasing is Now Closed, Please Register or Purchase Social Event Tickets On-Site at the Hilton San Francisco Union Square hotel starting on Wednesday, October 26 at 3:00pm. Please do not FAX or EMAIL registration/social event forms to the TLPA Office in Rockville, MD starting on October 21 as staff will not be available to process registrations/ticket orders. President McBride and the TLPA leadership invites the membership, vendors, spouses and guests of TLPA to San Francisco, home of the famous landmark, the Golden Gate Bridge, the Fisherman's Wharf and the California Gold Rush for the Taxicab, Limousine & Paratransit Association's 93rd Annual Convention & Trade Show: Working Together to Make a Difference on October 26-30, 2011! The 93rd Annual Convention & Trade Show is slated to deliver over 3 days of quality programming and networking. The convention will bring together industry experts and world leaders for educational and roundtable discussions related to current and emerging issues and initiatives affecting and impacting our industry. Click here to view the tentative agenda. In addition, this event will offer a platform for members, industry suppliers and vendors to interact during a number of unique networking opportunities. So, if you've never experienced one of TLPA's Annual Convention and Trade Shows, make this year your first! Once again we'll be offering three General Sessions. Featuring the State of the Industry Address delivered by TLPA President Robert McBride, the Operator and Driver of the Year Award presentations, Presentation of the Online Driver Education Program, IATR Activities & Priorities presentation by IATR President Matthew Daus, the Legislative Update, the Annual Business Meetings which include a speech by newly-elected TLPA President, Mary Smarelli who will present her vision for the future of TLPA and the industry, the Foundation Report by TLPF President Ellis Houston and the election of New TLPA Officers and Directors. 18 Roundtable Discussions accommodating 36 people in each, will also be a part of your educational experience. This series of informal Q & A discussions will kick off the opening of the Convention and offer thought-provoking discussions related to our industry. Industry experts will lead the discussions and cover a number of important and informative topics of interest to you. Topics presented will fall into the following categories: Call Center, Contracting, Insurance, Marketing, Regulations, Vehicles, I.C. Drivers and new for 2011, will be a WIT-Women In Transportation Committee Meeting as well as a miscellaneous topic on Issues for Young Managers (under 35). Of course the educational experience could not be had without the nine Concurrent Breakout Sessions, which will address important issues and topics related to the Taxicab, Limousine & Sedan and Paratransit & Contracting divisions as well as Women In Transportation. This year the trade show will welcome about 100 exhibiting companies that will showcase products and services in over 25 categories and in more than 25,000 gross square feet of exhibit space. Click here for exhibitor information. The trade show will take place in the Grand Ballroom with a Grand Opening Reception that will kick off the entire convention on Thursday, October 27. The trade show schedule is Thursday, October 27 from 4:30 p.m. - 7:00 p.m., Friday, October 28 from 12:30 p.m. - 5:30 p.m. and Saturday, October 29 from 10:30 a.m. - 1:30 p.m. The New Member Appreciation Reception (Happy Hour), lunches and prize drawings will be held in the exhibit hall. Click here to access all exhibit information. Exhibiting or Sponsoring or Advertising at the convention & tradeshow gives you access to a number of benefits and is of tremendous value to your company! Click here on how to take advantage of these benefits and values. Save $50 if you register by SEPTEMBER 30! Just click here to register on-line or click here to download a PDF of the registration form. Your registration fee includes two breakfasts, two lunches, two cocktail receptions, the host operator tours and access to the Trade Show with about 100 vendors showcasing their latest products and services. 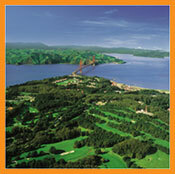 The 93rd Annual Convention & Trade Show will be held at the Hilton San Francisco Union Square hotel. TLPA has a limited block of rooms reserved for the group until September 28, 2011 or until the room block sells out, whichever happens first. Room Rates start at $249.00 for Single/Double Occupancy. A limited number of one-bedroom corner and luxury suites are also available. For more information on hotel accommodations, click here. The historic Hilton San Francisco Union Square hotel is one of the largest and tallest hotels on the West Coast, boasting three towers with guestrooms and suites offering some exquisite views of the city. With its prime location surrounded by Nob Hill, Chinatown, Civic Center, and SOMA, the Hilton San Francisco Union Square puts you steps from San Francisco's famous sights including the Cable Cars, the Theatre District, Moscone Center, AT&T Park, and of course historic Union Square with its world famous shopping, dining and entertainment. Host Operator Tour-included in the registration fee but you must sign up! To sign up for the WIT – Wine Tasting, WIT – Dinner , 2 Host Operator Tours, The Golf Tournament & the Annual Banquet, click here. The San Francisco International Airport (SFO) is 17 miles away and a 30-minute drive from the Hilton San Francisco Union Square. For information on getting to the hotel, the weather in San Francisco, on sight seeing, restaurants and discounts, click here.